As someone is involved with social selling training I am often asked about best practices including how to engage with a prospect for the first time. 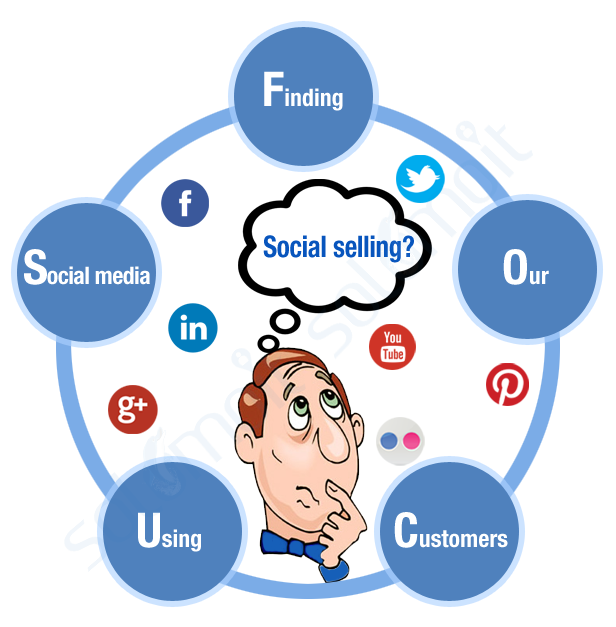 Let me start by introducing The 5 C’s of social selling. Credibility, Connecting, Content, Conversations and Conversions. 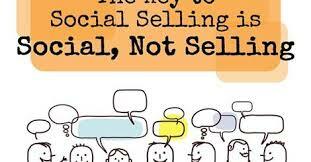 Next it is important to understand that social selling is a process not an event. There are more networks than LinkedIn to target plus there are rarely short cuts to building value and trust with potential customers. True engagement via social media networks is like building the pieces of a jigsaw, the customer see’s the picture being built (with content sharing and participation) and then once they see the full picture (lead nurturing) you are now in a position to commence the sales phase, also known as customer consideration and decision. Here are a few tips I would like to share. THE SINGLE MOST IMPORTANT THING TO REMEMBER IN SOCIAL SELLING = VALUE. To me, the most important thing is always provide VALUE to your potential customers and social network. Social Selling is a game changer because it allows sales people to interact with buyers exactly where they are doing their research – online. Due to the change in the buyer’s journey and self-educational content being published online, sticking with old sales models and techniques is no longer an option. If buyers do not see the value a business or sales person can bring (credibility), they will simply move on to someone who will. However, if a sales person goes our way to help the buyer through their journey from research, awareness to consideration with content and helpful conversations, they will have presented themselves and their company as a partner to potentially do business with. Therefore, always strive to provide to your social network and prospects. SO HOW DO WE “PROVIDE VALUE”? Well, providing value to people simply means being helpful. At a detailed level, providing value on the social networks can be separated into a series of helpful actions (sharing content and information, engaging in conversations etc) so buyers come to acknowledge the sharer, which overtime gives sales people a deeper understanding of the buyer’s profile. Sharing is about giving freely really useful information on an area of interest, market trends, latest research or vendor whitepapers including the competition. It could be facilitating the introduction to someone the buyer might benefit knowing. Another share could be to notify them or a group to a webinar, event or briefing that would be beneficial for them to attend. These are just a few examples of how sales people can provide value to contacts and connections on an on-going basis (stay visible). In my experience, the best social sellers are the ones who follow the 5C’s which is supported by doing research and being creative. Let’s say that during your research you see “snowboarding” in the interests section of one of your prospect’s profile, try sharing a cool snowboarding video with some text (could snowboarders be better business people) to a group or directly to the prospect. You could make a lasting impression, create awareness and establish credibility. HOW SHOULD I REQUEST A LINKEDIN CONNECTION TO A PROSPECT? 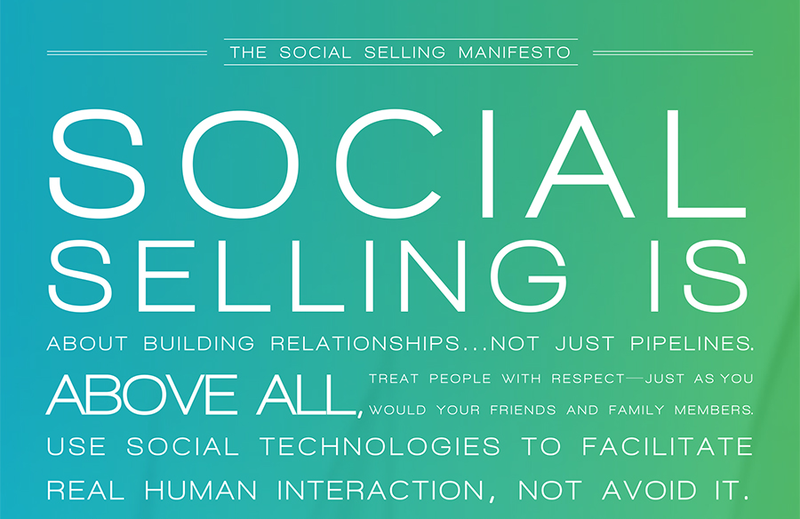 Connecting is the 2nd C in the 5C’s of social selling. Before we discuss how one should request a LinkedIn connection, let us state what you should not do. None of the above will start your business relationship off on the right footing. Why not try a conversational approach. Using a casual tone just let the prospect know that you understand they have in interest in “abc” and you are available if ever they need information in your area of expertise. The only goal here is to maximise the chance of the prospect becoming a first degree connection. Doing so makes conversations, content sharing and building credibility easier as you set out on a conversion journey with the buyer. Providing Context – Why is this prospect getting sent a connection request? Did they look at your profile, like or comment on some content you shared? Do you both share mutual connections? Providing Value – People buy from experts, so position yourself as a valuable source on information for some specific topics. Thanks for looking at my profile and commenting on the article I shared in [name of group]. If you ever require information on [area of expertise], feel free to use me as a resource for whitepapers and research. When it comes to connecting, if you do not have some real context, then do not send a connection request. It is better to nurture the prospect through Content and Conversations to build up your Credibility prior to requesting a connection. SHOULD I WRITE AN EMAIL TO A PROSPECT? Surely Social Selling has nothing to do with emailing a prospect I hear you say. Believe it or not but social selling and email prospecting can go hand-in-hand. You see, we now know that social selling provides us with a new way to engage with buyers AND it also provides insights into their social media lives. Some buyers are socially aware and others are socially active. These insights can be used to decide if the prospect fits your ideal customer profile alongside how to engage with them. Thanks to B2B lead generation tools, a prospects email address can be easily acquired so combining social selling with a warm emails can increase your chances of receiving a positive reply. .
As the buyers journey has changed It is important to interact with the prospect where they are active online whether that is LinkedIn or elsewhere. If the prospect is not active on social media then no point trying to engage them there, so sometimes trying the more traditional methods of communications such as an email or phone call can work better. There is so much more to social selling, feel free to contact me regarding training workshops or comment on your own training tips. Business loves the concept of social selling, tapping into the social networks combined with big data to lower the cost per lead and to speed up the sales and marketing process like never before is appealing. The good news for sales and marketing leaders who want to use social selling as a sales tactic is that “Big Data” is now a commodity. The sheer volume of data available to marketers today is staggering including social media insights, CRM data, sales records and web traffic alongside a multitude of other online sources. The adoption of social media by consumers and business buyers alike to buy and build our lives means the quantity of data is growing on a massive scale. To put it into perspective, social media currently accounts for over fifty two Trillion words shared every single day. But big data is as valuable to a buyer as it is to a seller. Data is no longer the secret art of the marketing department as access to social data is there for everyone (buyers and sellers) with a few clicks of a mouse. Every minute of everyday companies share content and buyers share purchasing intent. The result in the past few years has seen a major disruption to the whole buyer-supplier relationship. Today potential customers can educate themselves on your products, your company, and people’s perception of you and even compare what the competition is offering without ever having to engage with you. They are doing this on social media forums and many other online sources without speaking to a sales person. Armed with the knowledge that data and social media has changed the way things are bought and sold, marketing and sales management have to utilise two very effective tools, “Big Data” and “Social Selling” to capture more revenue in an ever changing landscape. A wider social selling strategy involves using big data to listen to what the markets are talking about and then share content that will grab their attention. Even basic social selling activity needs to tap into social conversations and content to understand buyer’s motivations. It may seem like a huge task to begin a data listening program but it is easier than you think. A few Google searches will throw up lots of free and paid marketing analytic tools to help you identify potential customers via social media. Larger companies now use a whole raft of analytical software for data crunching, to get insights into customer behaviour analysis and buyer profiles so that marketing departments can discover answers to questions about the type of buyer who might consider buying from them. Smaller companies can use tools like Hootsuite Free, Socialmention, Twazzup or Addict-O-Matic amongst others to gain deep insights into keyword driven conversations. Even without software tools, sales and marketing can gleam valuable information via social media conversations, online reviews and forums and then use this to help build connections with potential customers. Tools such as Socialbro, Rivaliq, ripjar and Connectors Marketplace allows sales people or marketing teams to trawl through blogs, social networks,, forums, news and reviews for brand, product or company mentions right down to specific keywords. Regardless of whether you are using software or digging around manually, there is no limit to the amount of information that can be gleaned using Big Data as part of your analytic tasks into identifying buyer sets that narrow down your prospect target list. Sales and marketing teams should be looking to gain the following insights from listening to social conversations and the social chatter. Who is your Buyer: Prospective customers may be spread wide and deep but it is vital a business tries to condense them into “buyer persona’s”. Creating a typical customer with characteristics helps sales and marketing teams to identify, understand, and target. A point to note is buying behaviours varies by category on social media. For example 25% of Facebook and 34% of Twitter users reported buying tech tools or electronic devices after seeing recommendations or shares posted on these social network sites while 75% of B2B buyers now use social media to be more informed on vendors. Target Specific Networks: Monitor what your prospects or buyer persona’s are talking about including mentions on your competitors. When it comes to social media, not all platforms are created equal or suit both B2C and B2B. Some social network sites produce higher leads and conversion rates than others. Even if you produce great content and follow all the best guidelines depending on your product or business, some will not perform. Focus in on where you can get higher sales conversions from specific networks as opposed to trying to cover off every one. Map the Buyer’s Journey: The buyer’s journey is not changing, it HAS changed. More than any of the other insights that marketing leaders can provide to sales is mapping out the steps a buyer takes from awareness to consideration to purchase. Having the insight into how buyers gather information, what type of content, how they consider vendors, how they like to establish connections and take decisions is the critical data that makes social selling successful. Using the insights from Big Data and Social Conversations, marketing team can now provide sales with the information, behaviours and likely interest triggers for the buyer persona. Then make social selling work by providing highly relevant content that matches these insights. 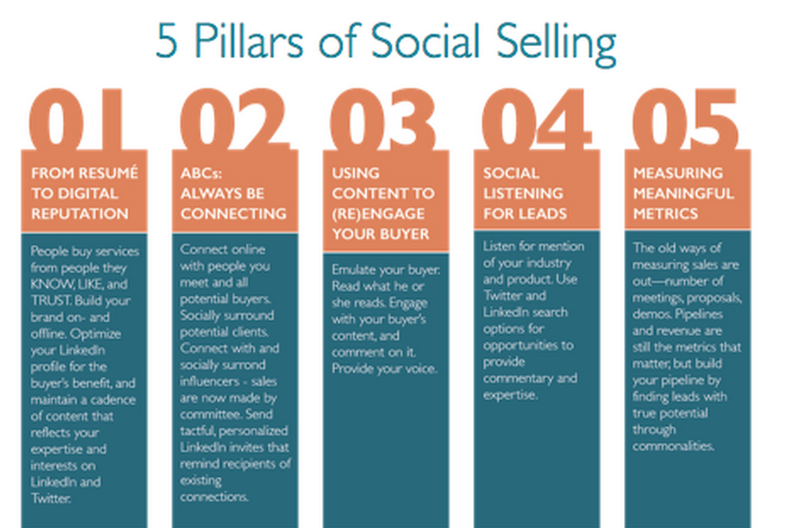 Also a social selling training should be developed so that sales agents learn how, where, and when to connect with buyers and prospects on the various platforms like LinkedIn, Twitter, Facebook, Tumblr and other relevant social media channels. It is the ability for sales to reach buyers in a highly personalised way with the right content, with the right context and at the right moment is the key to social selling in the era of Big Data. The building blocks for successful sales prospecting or lead generation are not solely down to selling skills but a combination of prospect lists with data, accurate targeting and understanding the buyers journey. Prospecting can be a reluctant or even feared selling activity, especially when the term “cold calling” is mentioned. However prospecting is a vital sales activity and well trained sales people should view as a necessary aspect of being successful in sales. The positive news is using tools like social media and social selling to engage prospects, the actual event of contacting a prospect should be called “warm calling. Warm calling is about a sales process where reps use social data to research their prospects prior to making a call, understand where they can add value and can demonstrate concern about a buyer challenges. Regardless of the sales cycle, reps whose first goal is to offer the buyer help (white papers or industry research as examples) and guidance (seminars, vendor profiles etc) are far more successful and satisfied than people merely engaged with cold calling. Set aside day every day for sales prospecting. Work with your sales coach or manager to help manage what you are doing or being asked to do. Set targets for prospects researched, profiled and engaged – daily. If a sales person is blindly approaching prospects with emails and calls without reason other than a profile view then they will fall flat and fast. Sales people who are trained to look outward, use social media tools, focus in on the world of the buyer and what they value will perform better in their roles. ‘Dear Buyer, The reason for my call today is…’ If a rep cannot complete this sentence then they should not be making the phone call as they lack sales process and value wedge knowledge. When engaged with prospects, it is important that the context is there the relevancy of the approach has to be valid. Warm calling to activate sales leads is about making the customer the hero, make them glad to have connected with you, bring value and understanding before any sales pitch. Confidence comes from being in control. 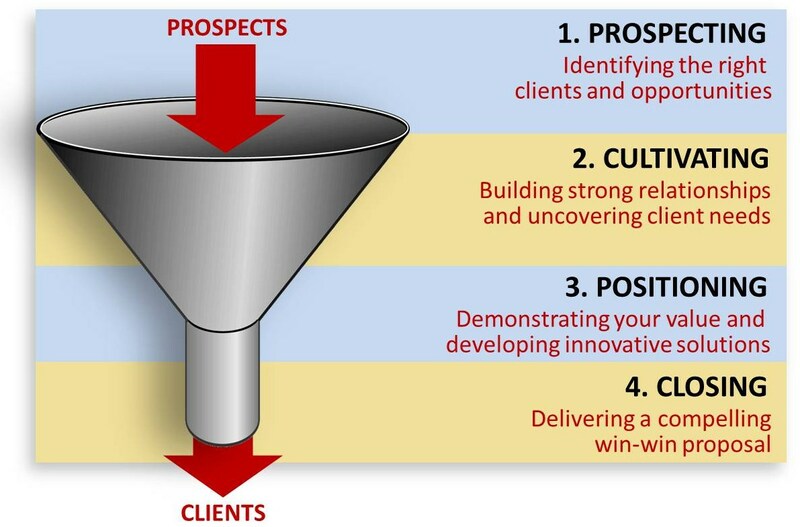 So practise the sales conversation, write scripts, the genuine reason for the call and connect this back to a challenge, know your value wedge, understand your industry plus study the buyer’s journey. Mistakes are learning tools. Every call is a learning opportunity to enrich any sales person’s skill. So do not fret on mistakes and embrace the learning. Know when to hold and when to fold. When a prospect is not a good fit or you can’t add value move on. When your product or service is not sparking a buyer’s interest then do not add to the pipeline, rather think of it as a step closer to find a matching prospect. Focus on the Outcome. Prospecting is not about selling, it has a different goal. It is about exploring the possibility that you might be able to create value for the buyer and maybe do something together down the line. Selling, at this point really is cold calling. Have fun. Enjoy the fruits of your research and the social insights you have gathered. You bring value and are worth listening to. Buyer to Supplier relationships has to start somewhere and opening these relationships is what prospecting is all about. 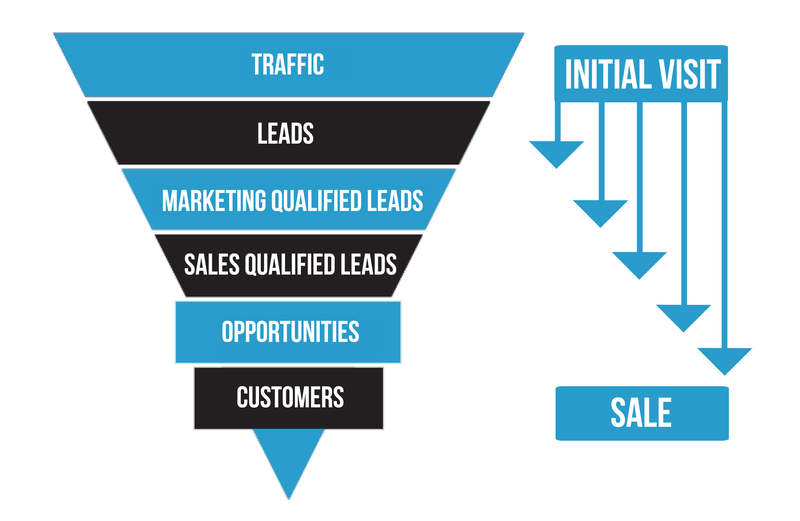 How many people in sales really understand the sales funnel, the sales pipeline and the objections that can clog up the process? Success for many companies and start-ups depends on if they can shorten the sales cycle and speed up the sales process. It may come as a surprise to many sales managers that it is not product knowledge or productivity that separates out the good from the average in the race to revenue. The biggest key to unlocking revenue in sales is to understand the buyer’s perception of time. The ability to move customers (cost of customer acquisition) through the sales funnel fast enough to bring in revenue can be the difference between success and failure no matter how good a business believes its product to be. Even the sales and marketing gurus at HubSpot stated “buyer’s lack of urgency is the number one objection we face in the sales process.” So for sales teams to be successful, especially start-ups, they have to create a sense of urgency to move prospects faster through the pipeline. The reality is that in today’s fast paced business environment, time is a scarce commodity. The seller’s time is scarce (need revenue) and the buyer’s time is scarce (need value now). Unlocking this time scarcity and getting the buyer to focus in on it is the key to a repeatable sales process and the means to a healthy sales pipeline. The advent of inbound marketing and buyers own journey of discovery has seen seller time scarcity work well as a tactic. This tactic works well as the inbound customer is likely to be in the “consideration” or “Intent to buy” phases of the sales funnel, and moving closer to making a purchase. 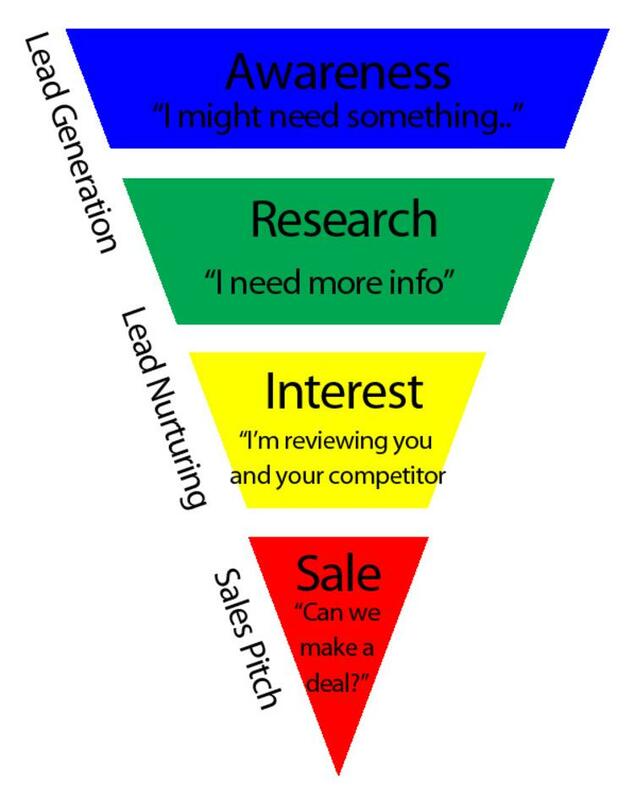 This is where seller scarcity nudges the buyer down the funnel. There are many types of seller scarcity from the instant discount for decision now; daily offer only, limited number of units available at the price, free express shipping or the free trials offering etc. The key to triggering a sense of urgency during an outbound sales call is to get some information about a business goal that needs attention. A sales person time is scare, if a business goal cannot be identified then move on. A question such as when is the latest you need to solve/resolve/have in place X?, is designed to probe as to find an urgent need within the business that justifies the prospect spending time engaging with a sales person. The sales skill and ability to bring a prospect through this dialogue is really important. The skill is for both the seller and buyer to understand the buyer’s priorities and how the sales person can help now. If I was selling data, I would probe how urgently the buyer needs to increase leads in the sales funnel or how urgently the data team needs to provide information to product managers, sales, marketing and finance. Another tactic is to sell risk reduction (use us as a backup vendor) to protect a business against the current supplier not delivering or if they are stretched. Computer and technology companies (we used this at Dell as a beachhead strategy) to invoke urgency as a way to sell products even if only small amount initially. Why does the prospect need to take action today? What are the negative implications if they don’t? What are the positive implications if they do? Ask any venture capitalist or business leader and they will tell you that faster sales cycles are a competitive advantage. Because faster sales cycles enable companies not just to acquire customer faster but to refine their sales techniques quicker, measure sales people faster, improve sales training and test marketing and lead sources instantly. But much more important, moving sales faster through the sales funnel means speedier growth, which impacts any fundraising requirements and scaling headcount. For SaaS based start up companies, we know that product-to-market fit is vital, and developing urgency to prospects in the sales processes is equally vital. Any sales strategy that unlocks time scarcity and motivates the buyer to act now forms the basis of a great sales unit that can stand the test of time. Every business needs to find new customers and social media has become the go to channel for reaching new buyers using content as the main hook. Since the arrival of social selling and big data tools, social networks are now the main channels on which to identify and engage with new customers. While social platforms are superb publishing channels they are also great channels in which to promote products or services. The foundations to using social media platforms to find new customers are built upon 3 pillars. The first is having all your social media profiles set up, the second is having your website populated with some customer centric content and the third is you have put in place a lead nurturing process for potential customers engaged with through the social networks. So assuming all the social profiles are set up and you have the resources to lead nurture, take a look at these simple ways you can use social media to find new customers. A great way to increase social media exposure is to enable a friend’s invite scheme. Encourage your existing user base to invite their friends to connect with you or the business and maybe reward if they do will allow you to tap into a market segment that is likely to be interested in you. Also as you are using friend invites to increase social media exposure, why not use those friend invites to find new customers. The audience who already purchase your products or engage with your website are more likely to introduce higher quality leads, which allows you to find leads that are more likely to convert into paying customers. LinkedIn has become the main channel for B2B social selling, providing businesses and sales people the opportunity to network and engage with shared interest professionals. 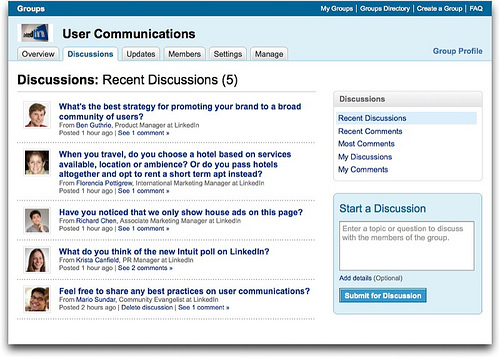 Done correctly the LinkedIn groups can provide a gateway to share, listen and engage with potential new customers. A simple way to start is to do a search for the type of customer you are looking for; this will give you a list of groups to help you identify new customers. Just type in the search bar the profile of person you want to find and then on the left side click on Groups. Start viewing the groups that have populated in your search, but before clicking on join, be sure to look through the list of members to make sure that the people in the group are the type of people you want to engage with. Once you have been approved into the group, plan out how you will go about sharing interesting content (not always your own! ), creating discussions and contributing to existing topics around the group topics. Doing this activity in a thoughtful way will build your “social selling index” and add credibility to your brand. Over time this activity will give you insight to what your potential new customer are interested in. This is the preamble before you should reach out to connect with them. Hashtags and social conversations are a superb way to find new customers. Twitter has over 600 million users and the real-time chatter provides any business with ample amounts of data to find customers. For example, if your company is selling the latest marketing tool and your target audience are marketing professionals, search the hashtags #marketing on Twitter and a list of conversations and profiles with marketing will be accessible. Just like LinkedIn you can then start following and engaging with these professionals so you can start building relationships that can potentially turn into new customers. Promoting real and valid customer stories is a great way to find new customers through word of mouth referrals. Select some customers who are benefiting from using your product or better still ones, who engage with your product on the social media platforms, then promote them on your company’s social channels. This type of activity will gain those customers’s loyalty, and the exposure you receive when they also share the “promotional url/article” on their own social profiles; increasing your brand awareness through your brand promoters. The creation and use of landing pages on inbound marketing and social media campaigns are a great way to find new customers. When running a campaign to promote a product, a white paper or maybe a webinar on social media, funnel your traffic to a landing page that relates back to the tweet or social post. Companies like Hubspot and Marketo are experts at this. It works as follows. When someone clicks on the link in the tweet/post it takes them to a dedicated landing page to download the content or information after submitting their name and email address. This kick starts the lead nurturing process for potential new customers that were acquired through social platform traffic. Video channels such as YouTube, Vimeo and Vine are powerful social networks to generate social media traffic for your business. In fact, according to Shareaholic, Google owned YouTube drives the most qualified referrals to websites. 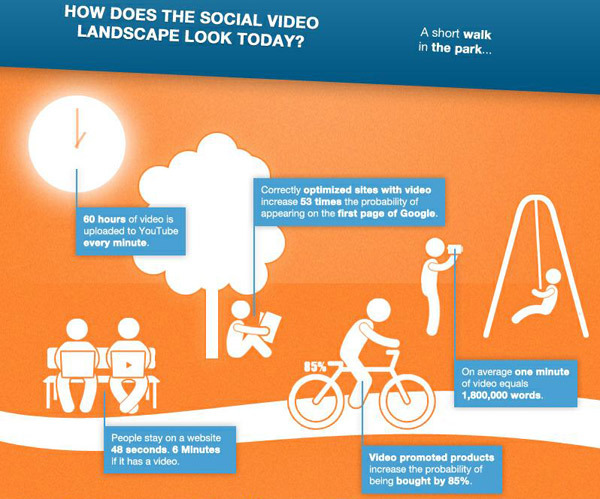 If not already doing so, consider using video content in your marketing strategy. Ensure to always include a call to action at the end of the video or in the description box. 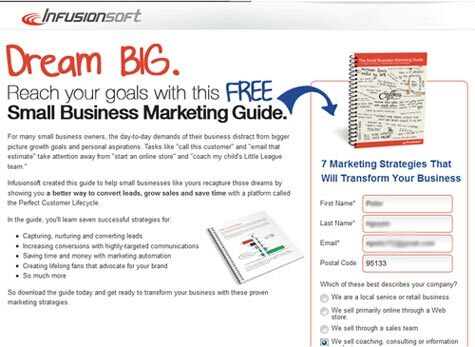 The call to action should funnel people to a landing page (see previous tip). Social sharing is not only a powerful method to generate online referral traffic but also to boost SEO which in turn drives more traffic. Every day there are over 22 billion social shares on the web. This echo system can provide a large amount of product exposure that requires very little work. Always include social share buttons on every blog article and make sure they are positioned to make it is easy and encouraging for users to share your content. Depending on the quality of the content will increase traffic to your content or website. Google+ has over 2.5 billion users. 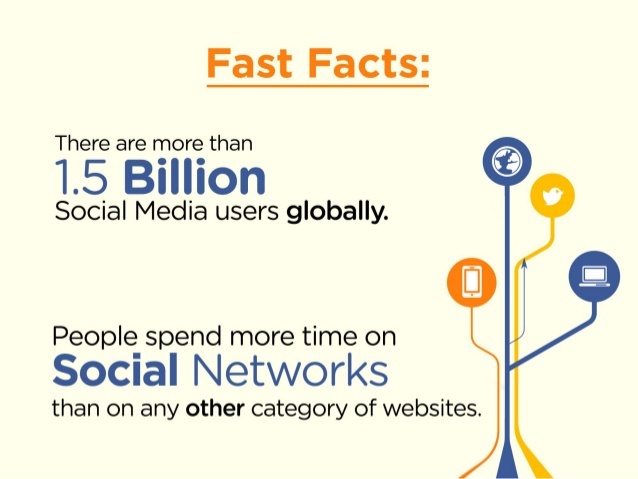 (Social Media Facts and Trends) and in the world of social networks, Google+ can be overlooked. 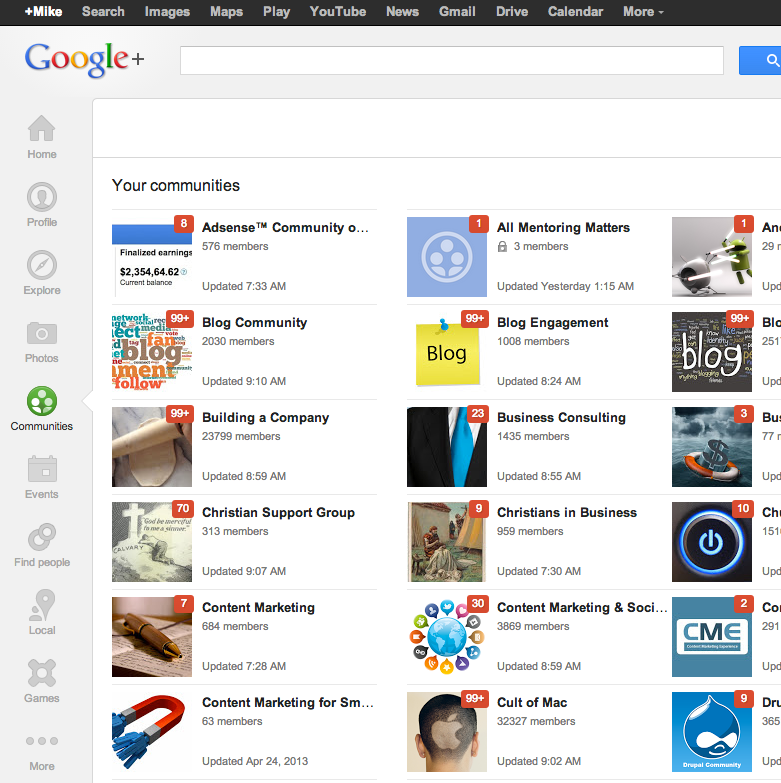 However, Google+ has a useful feature in its Google+ Communities. Just like LinkedIn groups, these communities have members which could a source of new customers. Do a search on a topic relevant to your business, and you will see the communities that could be a good channel to engage with potential customers. Do a search for “web designers”. The search will pull up the Google+ communities that were made for web designers. Start by joining the communities that have the highest number of members, highest number of posts, and the most relevant profiles. Again the tactic is to engage within the community to build authority, then share relevant content that funnels people towards your website or landing page. All the social media channels provide any business with the opportunity to find new customers and as a customer acquisition channel. 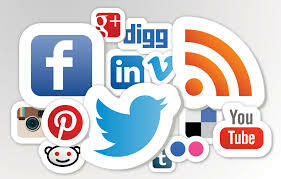 The about suggestions are just some of the ways social platforms can be used to find customers. Remember that every tactic must be customised to your types of business and customer, vanilla flavour doesn’t work! So ensure to understand which social networks your target audience are on before committing resources into social media to find new customers. Understanding your ideal “target prospect” and where/what (type of content) this audience engages on the social networks will help you in being efficient in acquiring customers. Do not get caught up in the quantity over quality of leads debate, this is a matter of targets. To be successful in customer acquisition via social media is as simple as ABC, (a) use the right social networks, (b) have great content to share (c) have the right social selling tactics. Follow this mantra and finding new customers on social platforms will become a whole lot easier than you imagined. Social selling is selling. In sales and marketing there is a tendency to use catchy phrases to describe something new or promote new products. Social Selling has suffered from this fate as companies in marketing and sales automation use a myriad of keywords associated to “Social Selling “ to look Social and grab SEO traffic; but in reality none of their products get the job of actual selling done any easier. Sales people and managers need to be reminded that sales tools do not do the selling for them. The training, the processes and the sales performance of the people themselves are what really matter, supported with the right technology tools to simplify tasks. In most sales situations, a core set of tasks usually need to be accomplished to progress through the sales steps. Below, is a set of basic selling tasks. The above is a high level view with lots of other tasks associated to them. The list is also probably missing some tasks but I have kept it simple as it is a blog post. OK so next let us start to understand how value is perceived by the sales people who are trying to sell products or services. No sales person or sales team has the time to get confused about some new sales concept that is completely irrelevant to the task at hand. Nor can any company afford to invest the time and money rolling out a sales process that shifts attention to a sparkling new concept; at the expense of the fundamental focus of the sales team work – selling. In the sales world words like Social Selling and Social Networking are phrases that should be used to bring meaning that customer’s preferences and the buyer’s journey have changed over time. Understanding the methods and channels buyers/customers now use to evaluate a product or service is critical if any business wants to a) adapt new sales methods in the value chain and b) to separate out when to or when not to, invest in the latest sales craze. If a business can align the sales process to newly identified customer needs and communication channels which improves sales performance, then can make that switch. 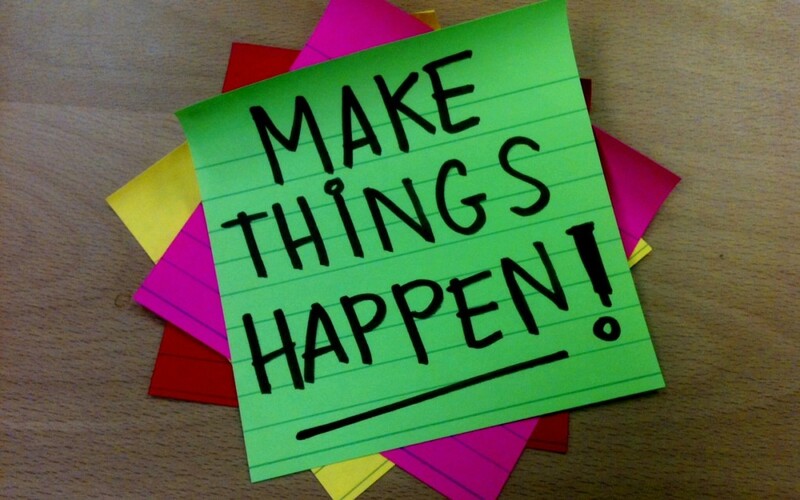 If not, then work towards improving the existing sales process. 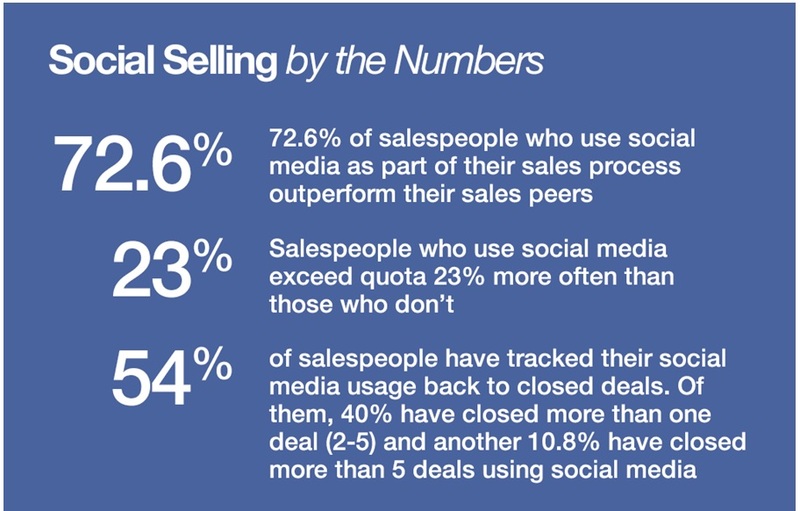 Social Selling represents a shift in how sellers reach and interact with buyers in the digital age. Business’s must first validate and then implement how their set of target customers is now sourcing information on product and services. Very few buyers’ journeys have been left unchanged in the digital age. Social Selling is not some new craze, it is just selling evolved to match the realities of today’s online business environment. In above list is far from exhaustive, there are many other customer or sales capabilities with varying levels of importance and satisfaction that the digital or social networks facilitate. However these emerging capabilities do not change a simple fact…social selling is still selling but for a different era. Sales methods and customer interaction channels will continue to evolve and it will be interesting to see how the next wave of concepts impacts the sales tasks. The fact that business needs to sell to customers won’t change; but opportunities to improve customer connections that had unavailable in the past, will emerge as the new must have sales tools for sales teams everywhere. Content marketing when done right can deliver exceptional results yet as many as 75% of marketing departments are doing content marketing the wrong way. One big and critical difference between content marketing and promotional marketing can be summed up in these two words: sharing versus telling. So, the logic would follow as buyers and consumers turn away from interruption ads online and are even using tools to nullify them, then marketing have responded to this challenge to ad weariness, right? Ah no, this is unfortunately not always the case. When developing content marketing strategies, over 75% of marketing leaders report that product mentions are a regular tactic in their content strategies. (The Economist Group). Marketing departments have responded to the move away from online advertising or “ad blindness”by viewers and implemented content marketing tactics to counteract this decline in raising product awareness. However by flooding the social media networks with promotional lead content, they are in fact now encouraging “content blindness”. The sharing of content has become a breeding ground for brand plugging and promotional stuffing. The result is audiences are now starting to see some content shared by brands as being deceiving, missing out on the fact that when you strip away the advertising pitch many of these brands have powerful stories to share. Content marketing is primarily about sharing great stories and as you earn the audiences trust you can begin selling your products. The hard sales pitch tends to turn off potential customers, so rather going straight into selling mode, start with building trust and credibility through informative content that adds value. Does the content offer real insights on a market or interest OTHER than plugging how great a product or service is? Do the articles and blogs showcase the company’s expertise by providing actionable tips or research based analysis? If the answer is, “Yes,” to these questions, your content is ready to publish. Well research shows that less is more, the least sales pitch orientated articles drive more sales when executed correctly. This is because the content will drive awareness (inform, educate, amuse, engage) and ultimately help prospects become qualified leads as they consider you as a viable purchasing option. Any business can create a content marketing journey for their prospects and over time gently guide them to the solution to solve their problems: considering your product or service. But the patience and skill is you have to let them arrive at that conclusion at their own pace. 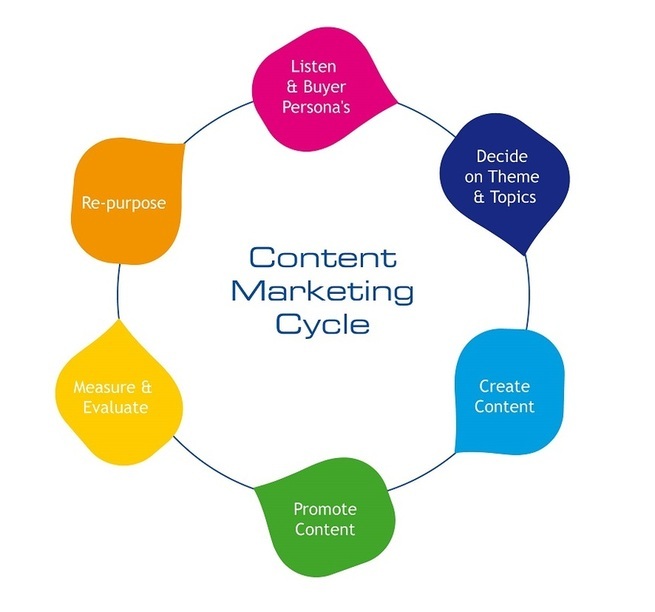 Real content marketing is about sharing thought leadership or research, addressing problems or market trends your customers or potential customers face. This stream of valuable content acts like a seed, planting the ideas which overtime grows into the realisation to prospects that they need your product or service. The stark reality is that the press release route and publishing in-depth product descriptions serves only to create a wall between you and your audience. Audiences just tune out if they have not been primed with educational content before you go for the sale with “sales content”. Also B2B buyers now use social media to research trends, reviews and ways to improve their business. This presents a great opportunity for marketers. 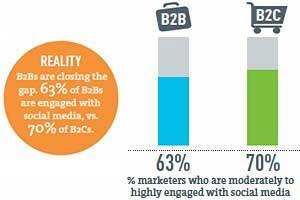 But are B2B marketers missing the mark? Still lots of B2B marketers think that “content marketing” almost like a Trojan horse, publishing product descriptions in the guise of content. But buyers constantly remind us they are not ready to be sold the moment they see some sales content. Their journey is about accessing content that understands their problems first. Hold the sell. As most readers are looking to learn more about a topic, do not start bombarding them with promotional jabber. Content sharing focuses on engaging them through quality articles packed with valuable insights to encourage them to learn more. Remember, in the sales process it takes anywhere between three and thirteen interactions for a prospect to turn into a qualified lead, so starting a “social conversation” with a sales pitch baked in will chase away potential customers, so the goal is to get them to stick around to learn something. Think of your audience, not your product. When creating and sharing content, always prioritise an audience first approach. What would the readers want to learn more about? What obstacles are they encountering and how can you overcome those? When you tap into your prospects’ needs and issues, you can create content that they can align themselves to and encourages them to continue the education process. Become a valuable information resource. Publish helpful content on a consistent basis will give readers a reason to visit your blog time after time. Becoming a go-to resource is critical to building up followers and readers. I also suggest that carefully offering a white paper, e-book or case study to visitors is a way to gain more in-depth information. As your journey into content marketing continues, remember that telling is not selling so put your audience’s interests before your own. Content will only grow in quantity on the web, and the way to avoid content blindness and do it right is never use sales pitches disguised as articles. Instead focus on sharing your expertise and insights. Always write to benefit the reader. As time progresses readers will take note of your genuine approach to offering solutions and then will be happy to engage with the sales process. These social media business tips may help a start-up or a business where social media marketing is a vital component in driving the business forward. Also to act as a refresher to any marketing person that may be working on different marketing projects at the same time making it difficult to remember all the steps. The main tip when it comes to social media marketing is that it must part of the daily routine so it needs to be resourced, planned and worked on. 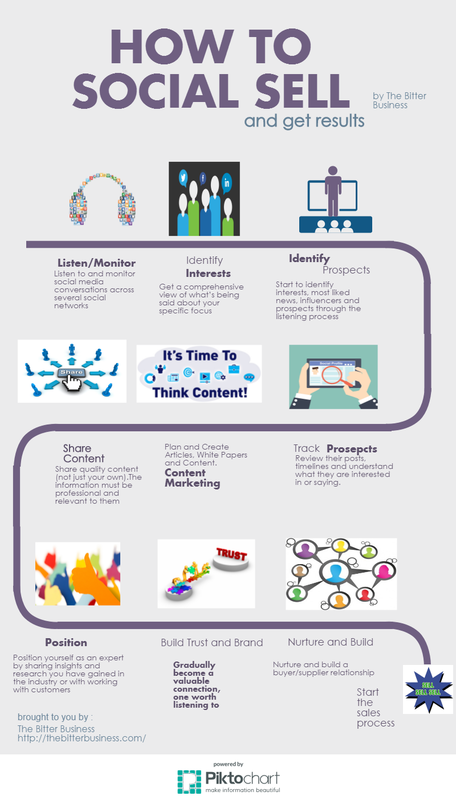 To be successful in social media the social media manager marketer must understand the content marketing strategy. From understanding the goals, objectives and desired outcomes to knowing who the audience is and what type of voice (thought leader, informative, educational, authoritive or maybe humorous) the business has selected to communicate with. All the critical questions are answered in a well planned content strategy, so any business or social media manager needs to know it, understand it, always has it to hand, live it and tweak while optimising it when called for. Content marketing is not just about new content; the critical point is new, relevant and quality content that brings a different angle to a topic. The lesson for any social media manager is that new content posted regularly will help reach an audience but it is the quality and nature of the content that will achieve engagement to audiences or buyers on the social networks. So the social media manager needs to plan ahead and ensure there is always some new content ready to be posted. Creating quality content will and does take up a considerable amount of time and effort so it needs to be resourced. Social media has to be a business function like finance or product, so the social media team needs to have a roadmap that calls out when you need to create and publish content, a content marketing schedule or diary. This also has the added effect to fully sync your social media activities with other business areas or events within that timeframe. Try and use the 80/20 rule, 80% of your content is proactive in that it requires more effort so needs to be planned leaving 20% to publish any articles in reaction to any event or news.. The value and impact of quality, original and insightful content a social media marketing strategy cannot be overstated. Sales and marketing together need to spend time brainstorming content ideas. 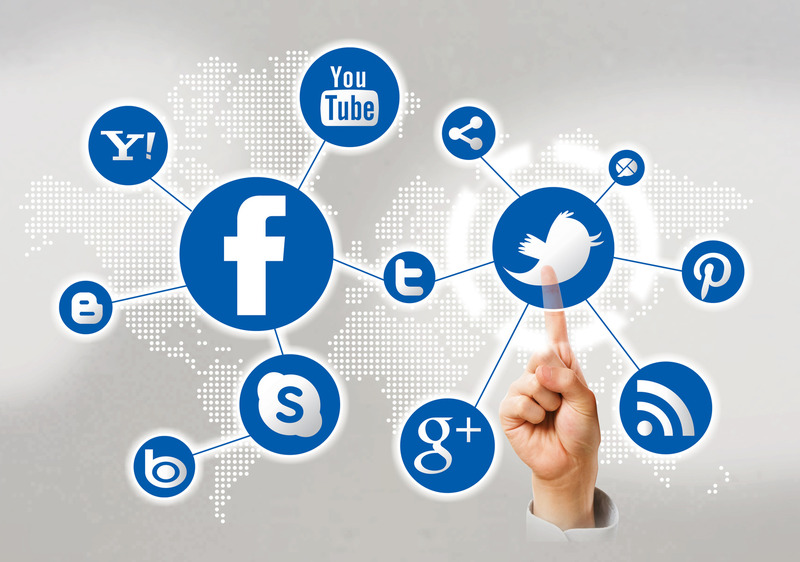 It is crucial that the person leading the social media activity plans and allocates time to it. Every business that wants to maximize the results on social media efforts will pay attention to content ideas as to keep the content fresh, unique and interesting. Only then will a business be successful in engaging an audience. One simple way to generating ideas for content is to look at competitors blogs and other popular posts on LinkedIn, Twitter or Facebook to see what content works for them. Social selling and social media function better when people share news and articles from various sources, so keep on top of industry or market news and current events. This also allows the social media marketer to react quickly to hot topics which is one method to boost your social network influence. Use a social media tool to monitor hashtags, social conversations and people in order to keep up the date and on top of the trending topics. Social networks move at speed so when the opportunity presents itself it is important to be there ready to drive your own awareness and exposure. 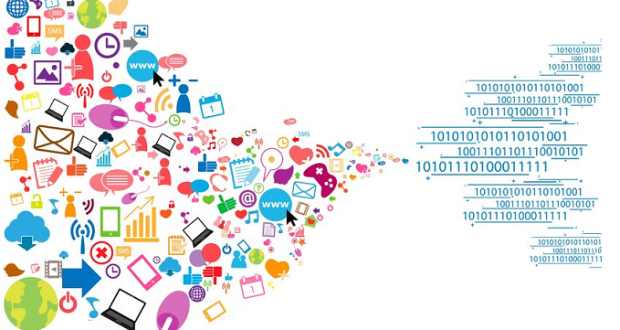 Social media impact improves by using visual media, infographics, video and imagery. The use of imagery and a visually impacting way of presenting social content it is more likely to reach and engage a larger audience. Quality content is more than text and social media marketing has to include the production of visual elements such as photos, infographics and video content. There is no point investing time and marketing money in social media activities if a business does not track, monitor and have a report dashboard on progress against the targets set out in the social media marketing plan. 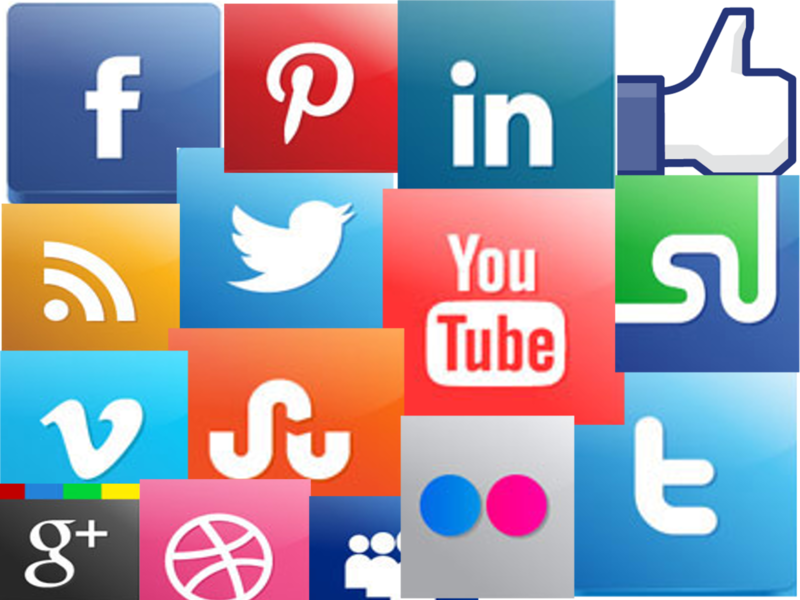 So it is vital for you to report on the various social network activities (posts, articles, comments, shares), what results were achieved (leads, likes, connections, followers, sales,) and any plans for the next phase. It is best if this is reported to all the team including sales, marketing and management at regular intervals preferably on a weekly basis. Every business needs a clear ROI on any resource invested and social media is no different. It must deliver results. So there are some quick 7 tips on social media for a business or marketing person looking to refresh themselves on some of steps to be successful in social marketing.